I’m not massively organised when it comes to having toddler-friendly arts and crafts materials in the house – I don’t have an abundance of random items like blue pipe cleaners, a length of twine or double sided sticky tape (who has this anyway?!). So when I was asked to review a Weekend Box, I delightedly accepted as it meant I could be a wholesome crafts Mum without having to do any of the prep. As well as spend quality time one on one with Nathan, obviously. If you haven’t come across them before, the Weekend Box Club produce colourful crafts activity boxes aimed at 3-8 year olds, which handily fit through your letterbox. Our box contained four different activities – growing a rainforest and materials for making trail mix cookies, raindrop sun catchers and a parrot mask. It also included a loyalty chart and some toddler catnip in the form of stickers (you get more stickers as you work your way through the different boxes). The real beauty is that the Weekend Boxes come with pretty much everything you need – like a glue stick, crayons, different coloured bits of paper, string, etc. Anything else you might need for the crafts you’ll probably have at home – like scissors, or a banana, for example. It’s a big plus to have everything in one place, with really simple instructions to follow, even for someone whose brain tends to scramble at the mere thought of an instruction leaflet. 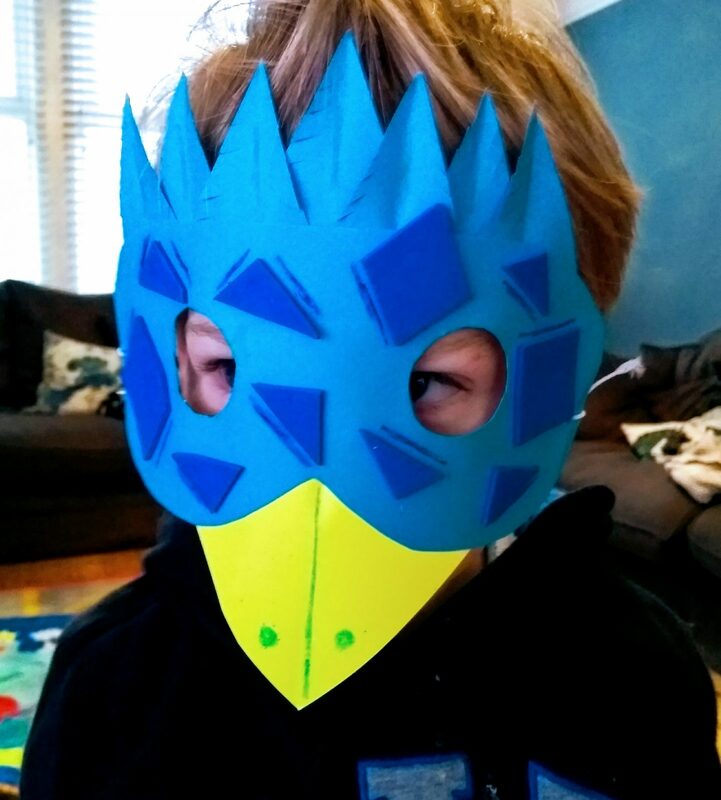 Nathan is crazy about masks at the moment so making and decorating the parrot mask was a big hit. 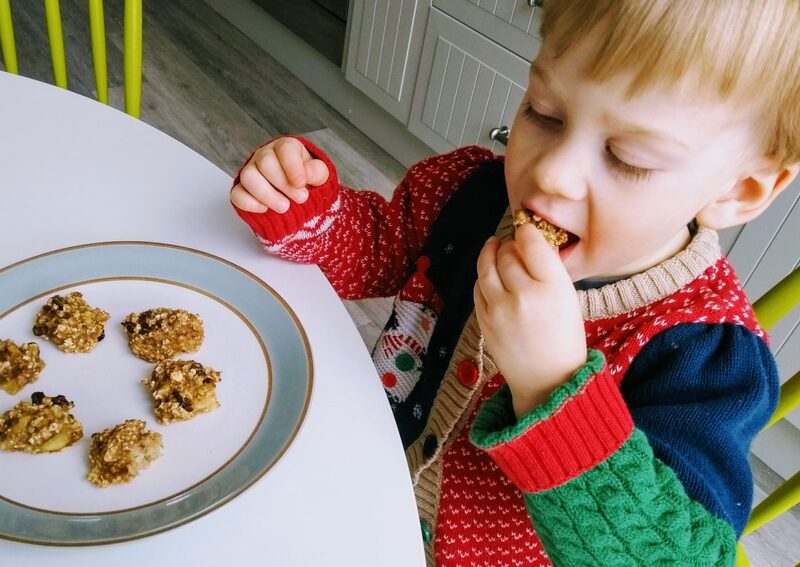 We also baked the cookies – to be honest “cookies” is a bit of a stretch, they’re more of a banana, raisin and oaty mix but it kept Nathan occupied for a while as he loves mixing things up and seeing them go in the oven. We’re yet to make the raindrops or rainforest – I will save those for another rainy day. Nathan is 3 in a few weeks and a couple of the activities are probably a little advanced for him but it still proved a great novelty and something we will keep going back to. It feels like the gift that keeps on giving – as well as the main activities there are other fun tasks such as colouring in the box, and completing a picture story. The green credentials also make the Weekend Box appealing – it’s 100% recyclable and all the materials in it are 95% recycled (they’re working on the last 5%). You can sign up for fortnightly or monthly deliveries or pause or cancel them at any time. It starts at £5.95 for a box with two activities. Use this link to receive your first mini box for free or first bumper box for £1. Happy crafting! Enjoyed this? You might also like this crafts article. With thanks to the Weekend Box Club for a free box to review.